First 4 Figures has produced some amazing pieces in its The Legend of Zelda: Twilight Princess line — the Link on Epona statue is gorgeous, and themassive Ganondorf is the centerpiece of my gaming statue collection — but there's been something missing, until now. Finally, we have Princess Zelda. 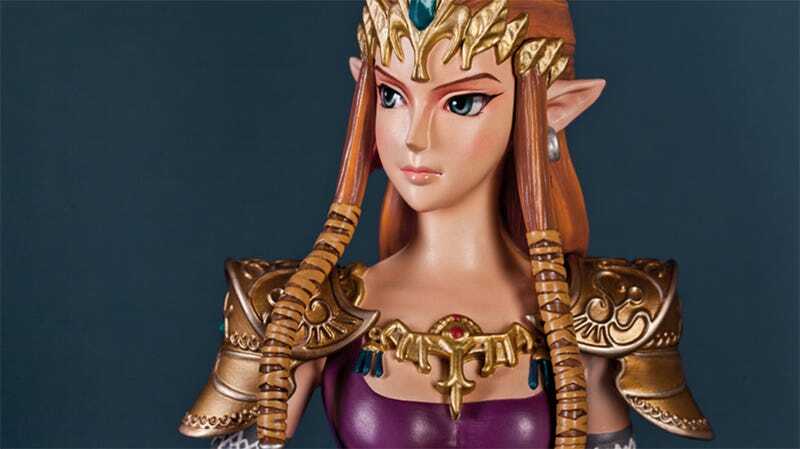 So wise and regal and just plain royal, First 4 Figures' 1/4 scale Princess Zelda "Master Arts" statue is a thing of beauty, ready to sacrifice herself for any decent cause that comes along. She stands 17 inches tall including her base, which puts her to scale with the 23 inch tall Ganondorf. It's not the sort of piece you just stick on a shelf — she's destined to be the focal point of whichever room she's displayed in. This is the one I've been waiting for. Now all I have to do is scrape together $350 to secure one of the 2,500 pieces being released in Q4 2014. Princess Zelda is now available forpreorder from First 4 Figures.